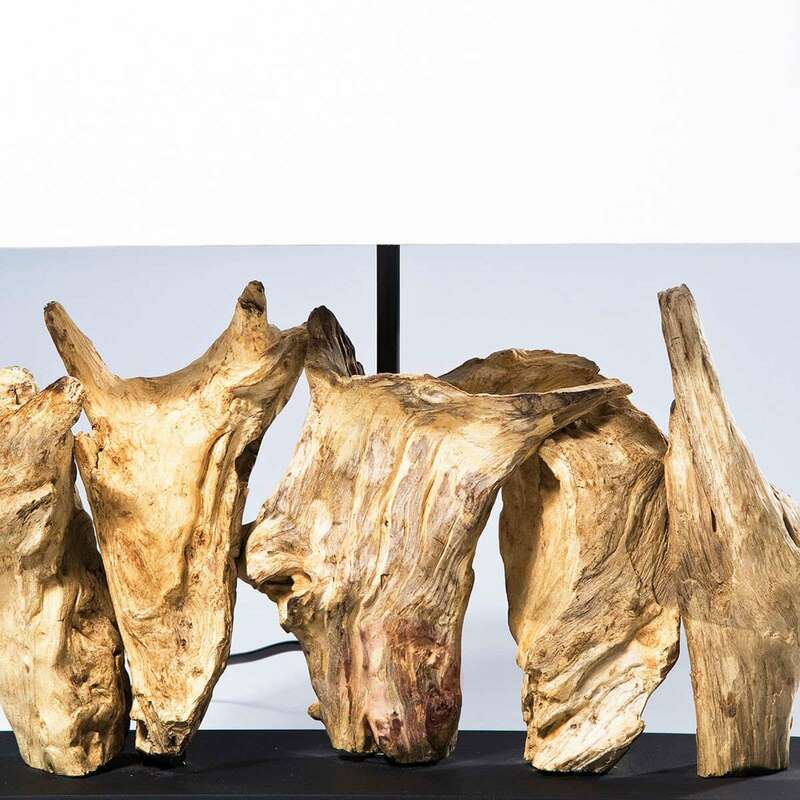 This extravagant table lamp Nature Vertical breathes naturalness into any living space. 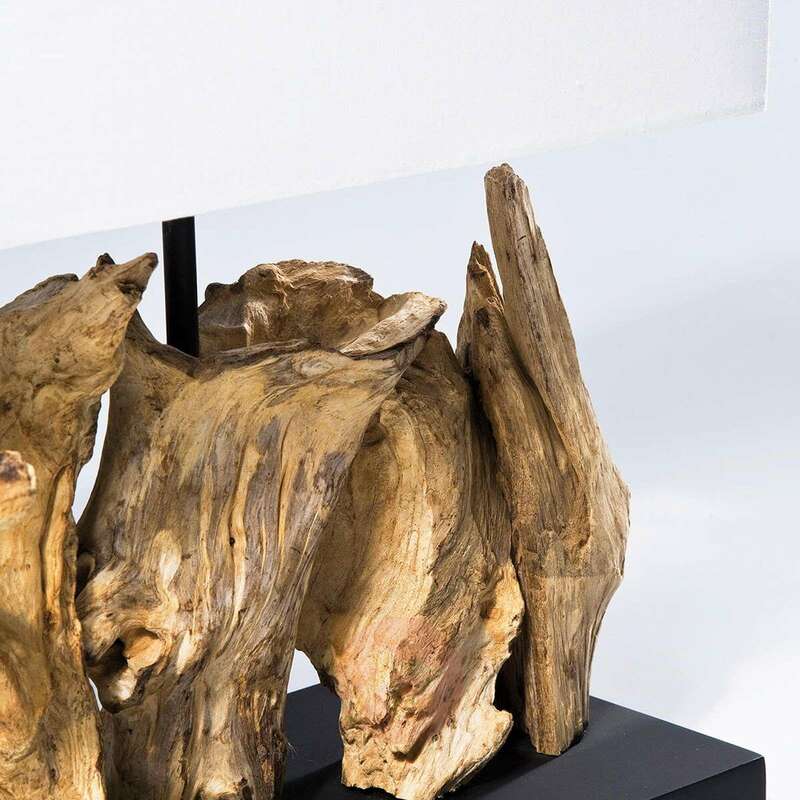 Formed into individual shapes by sea currents, the base is adorned by elements made of Indonesian driftwood which make each light into a unique piece. 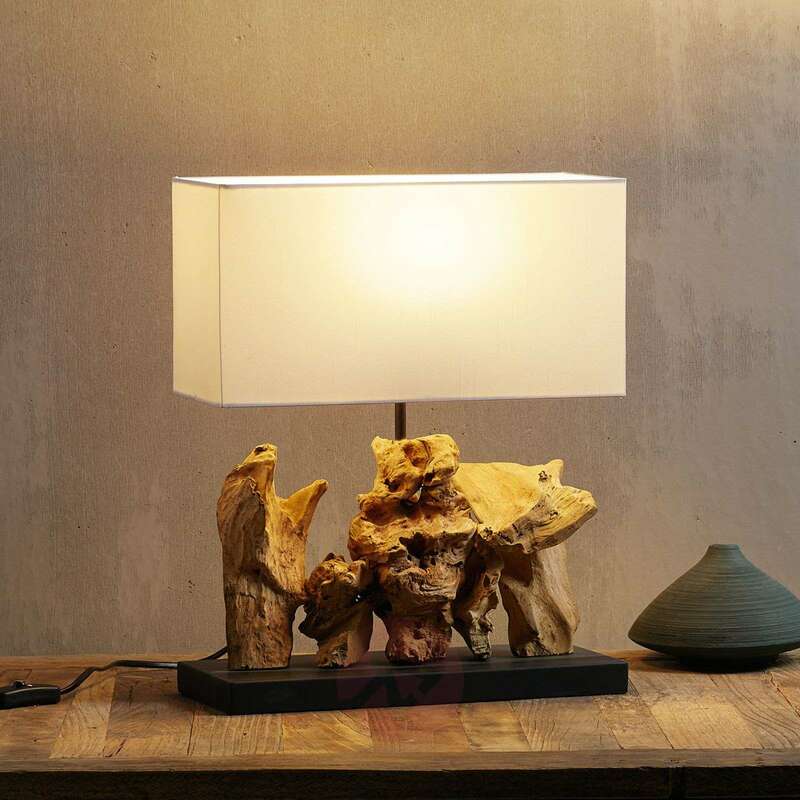 The irregular shapes of the wood come together with the linear, black laminate plate, on which they are placed, and the rectangular lampshade made of white cotton to form a light fitting with charm. 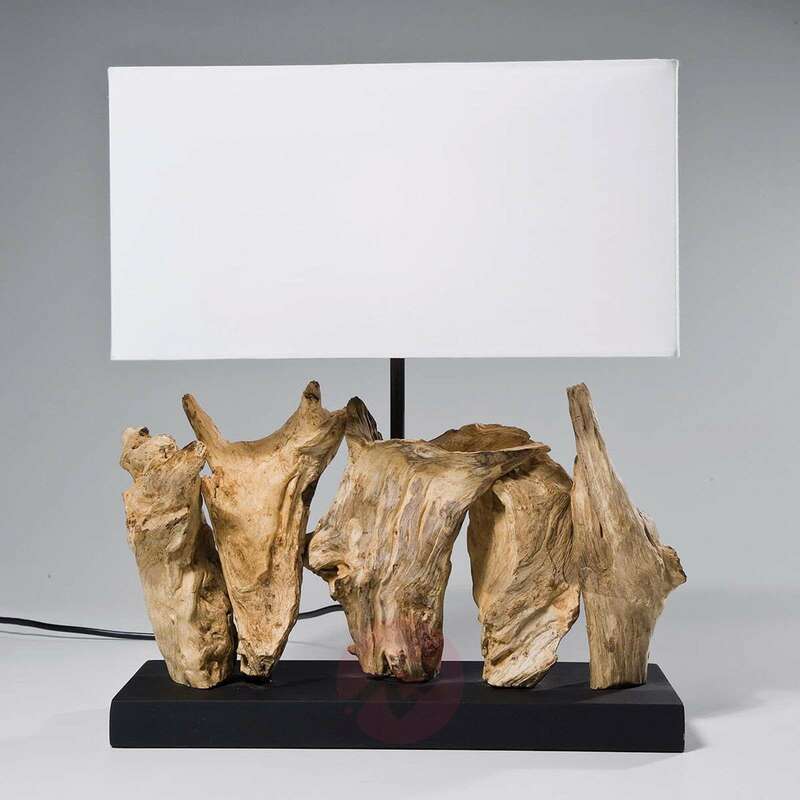 The extraordinary design with its love for nature ensures that Nature Vertical outshines all ordinary table lamps and enriches the surrounding area not only as a light source, but also as an interior design element during daylight hours thanks to its originality.